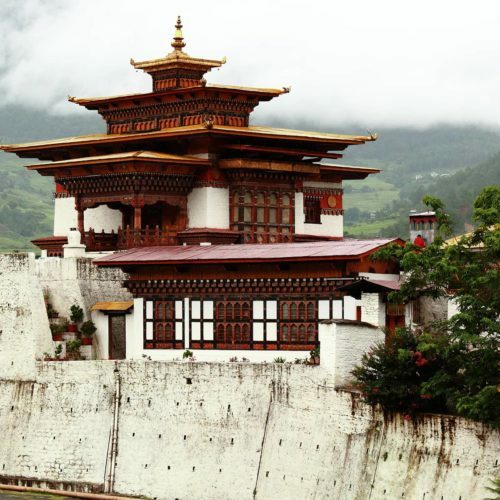 Bhutan is the land of mountain mists and legends, nestled high in the eastern Himalayas, between India and Tibet. From the rooftop of the world, take time to admire the most spectacular of all panoramas. Open to tourism since 1974 this is one of the last untouched bastions of ancient civilisation, where the vibrant whirl of the masked festival is very much an authentic celebration not a tourist re-creation. The spiritual resonance of Mahayana Buddhism is tangible throughout the land with intricately carved monasteries colorfully emerging out of the majestic mountains. Here the landscape is dramatic throughout, boasting deep wooded forests, emerald valleys bursting with wild flora and snow-capped peaks soaring beyond the eye. Now the lure of new luxury retreats make it possible to travel to Bhutan in style! 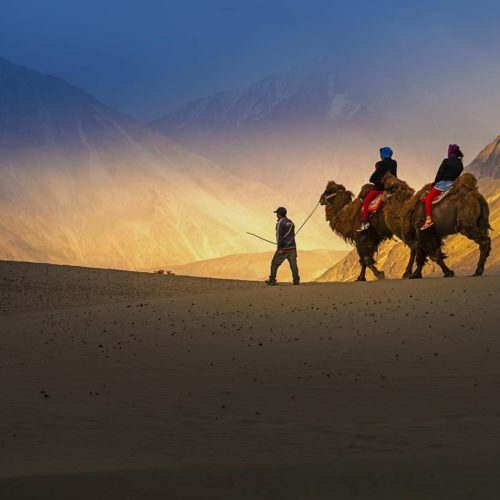 So discover your own Shangri-la in this land of mystique and myth. International flights from London to Delhi. On arrival transfer to Kolkata and stay at The Oberoi Grand Hotel. Morning transfer to the airport to board Druk Air flight to Paro. On arrival transfer to the luxurious Uma Paro by COMO Hotel. Enjoy the walk to Rinpung Dzong, Zurig Dzong and Ta Dzong, traverse over rivers, through the pine forests and picnic at picturesque monasteries. Easy to moderate walk. Drive to Drukgyul Dzong, close to the Tibetan border. The route is inspiring, and the site of the Dzong is magnificent. Return to a peaceful orchard for a picnic lunch directly opposite Taktsang Monastery (The Tiger's Nest). After lunch climb to the viewpoint, descend steeply, then climb up to the monastery, passing waterfalls along the way. 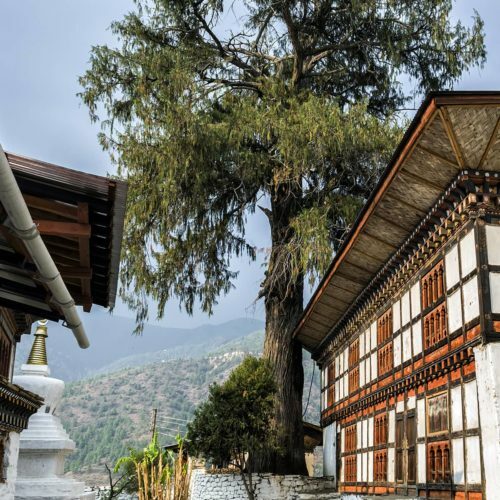 Visit Kyichu Lhakhang, one of the oldest and most sacred temples of the Kingdom, where one can see the beginnings of Buddhism in Bhutan. Duration: 7 - 8 hours moderate to difficult walk. 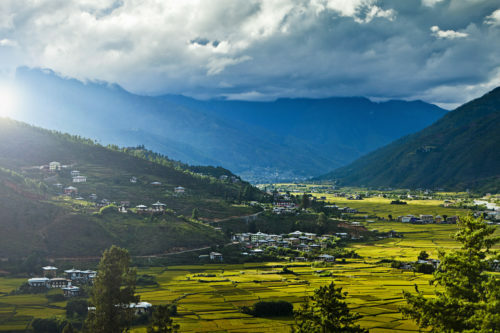 After breakfast, drive to Punakha across Dochula Pass (10,500 feet) to witness the most enchanting views of Bhutan. Tour Punakha and visit the local market. Overnight at Uma Punakha by Como Hotel. After breakfast, transfer to the pretty Bhutanese town of Wangduephodrang. After lunch drive to the charming colorful city of Thimphu and check in at the Taj Tashi Hotel. Explore this colorful city on a full day tour, visiting the various museums, textiles and arts centers. Evening visit Tashichhodzong situated on the banks of Wang Chu home of the National Assembly and popular summer retreat. After breakfast take a scenic drive to Phuntsholing, en route visiting Simtokha Dzong the oldest fortress of the Kingod 1627. 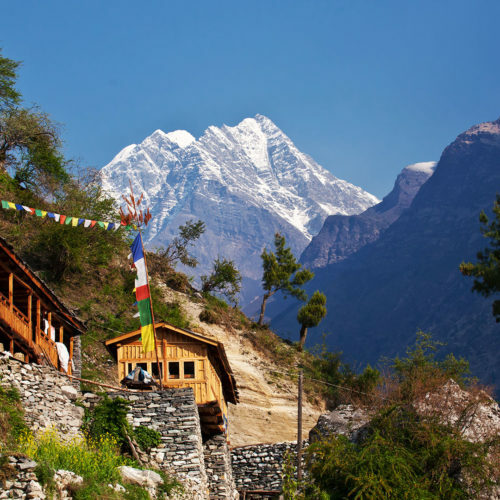 Just before arriving at Phuntsholing, visit the temple Kharbandi Gompa. Overnight at Lhaki Hotel. Morning drive to Darjeeling crossing the Coronation Bridge, where the Teesta River is at its confluence with the Rangeet River. It was built to commemorate the coronation of Queen Victoria. On arrival in Darjeeling, check-in at Glenburn Tea Estate. Witness the sunrise on the mighty peaks of Mount Everest and Kanchenjunga. 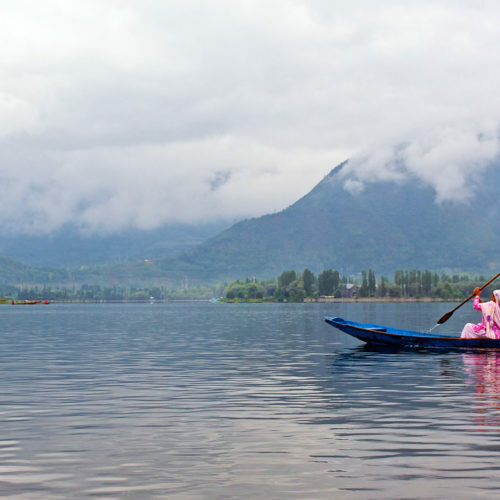 Morning half-day city tour of the sparkling hill resort of Eastern India. Spend the day learning all about tea, visiting tea plantations, a private tour of a tea factory and enjoy a tea tasting. The afternoon is at leisure. Morning transfer to Bagdogra Airport to board a flight to Delhi. 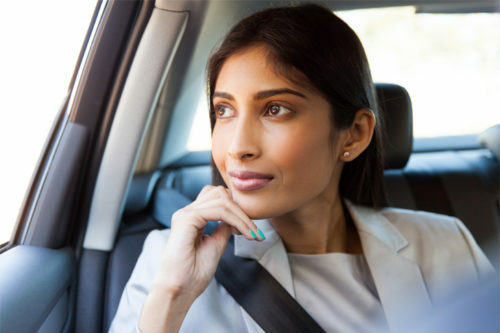 On arrival transfer and check-in to The JW Marriott's Aerocity hotel. Early morning transfer for onward destination.